*NO OUTSIDE BASKETBALLS WILL BE ALLOWED INTO GYM! Central and Northern California’s #1 post-season unsigned high school exposure event provides all participating players an opportunity to demonstrate their skills to all the NCAA Division II, III, NAIA and JUCO coaches, scouts and media invited to attend. A special report will be sent out to college coaches all across the country. *Play Top Central and Northern California Competition. *Each Player Plays in two (2) Showcase Games (each player plays at least half of game). *Player/Game Stats Provided by California Preps. 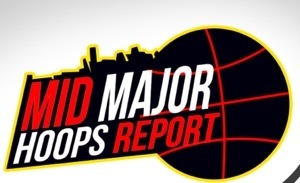 *All Players Included in Special Super Showcase Report sent out to college coaches. *Everyone Receives a Super Showcase Uniform Top (Bring shoes and shorts).